3. Tell the world you have killed the non-existent enemy, eliminated the threat and saved their lives. "In a blind world, the one-eyed man is king." First there was the earthquake in Japan. Have the troubles there resolved? No. But it got boring so the media moved on to the war in Libya. 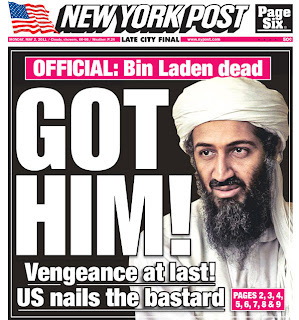 Now that this has become old news we have a new 'story' - the apparent killing of Osama bin Laden: a story that is full of holes. Osama bin Laden has been apparently hiding out successfully for 10 years but all of a sudden he has been located and killed? What we have now is the apparent death of bin Laden at a very convenient time: the USA is having enormous problems with their budget; they are in magnificent debt (currently around $14.3 trillion) and have realised they can't keep this war going on any longer; and the US dollar continues to suffer. Furthermore, popularity and support for the war is at an all time low, and whispers about the next US election have already begun. This is a perfect time to release the next and biggest dose of American propaganda... "We have killed Osama bin Laden. The world's most wanted terrorist." And what's the reaction? Hoards of imbeciles out on the street chanting: "USA, USA." 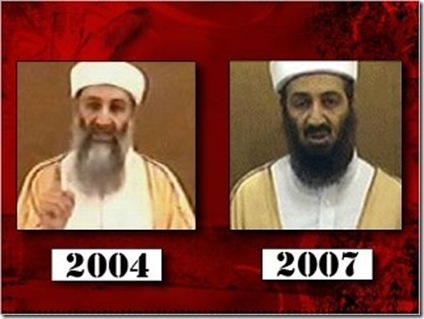 So what proof did we ever even have that bin Laden was even responsible for the 9/11 attack? Has he EVER mentioned the that attack in any of his videos? All the videos I remember seemed extremely old - like they have been pulled out of an archive - and the"world's most wanted terrorist" talks broadly about general attacks... nothing specific about the twin towers for example. 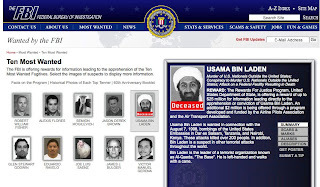 Osama bin Laden was responsible for orchestrating attacks against the US embassies in Kenya and Tanzania in 1998. How do we know he wasn't taken care of then? Who can verify that the videos we have been fed over the last few years weren't old footage? 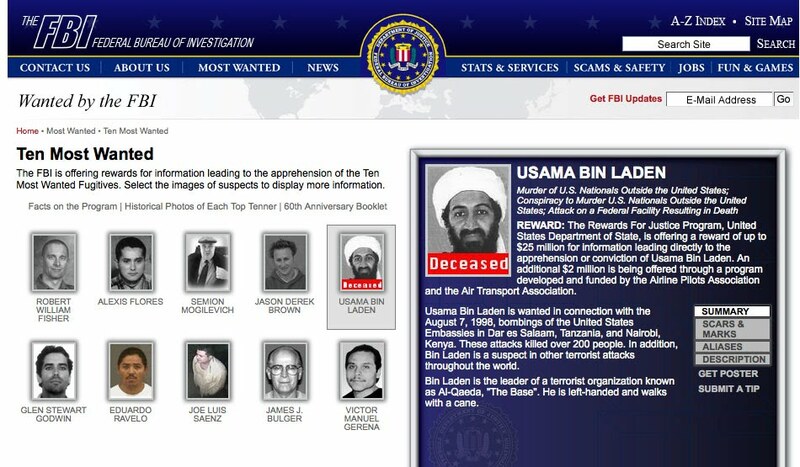 While writing this post I came across a lot of interesting information, such as the authentic interview where Osama bin Laden denies having any involvement with the September 11th attack, and articles where the FBI admit they have no evidence connecting bin Laden to 9/11. 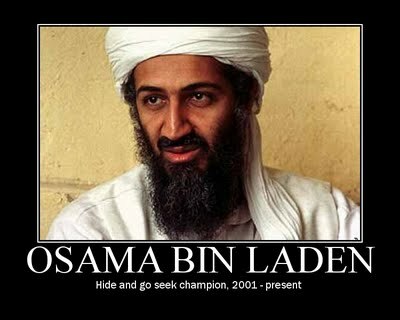 There may well have been a great reason why nobody could find bin Laden... because he wasn't around to find. He ceased to exist a long time ago. What better way to wager an endless war than to fight an enemy that doesn't exist - a war which you can end on your own terms, when you're ready, after your belly is satiated with oil. This has been a war against an idea: the idea of Terror. Let's say, hypothetically, fantastically, that bin Laden actually was alive. Is it really believable that he was living in the reported compound? I'm no military expert and even I know that it is an extremely poor defensive situation. And in the end, three men were killed, bin Laden was killed (whilst unarmed), one of his wives and shot in the leg and his 12-year-old daughter was injured by flying debris. 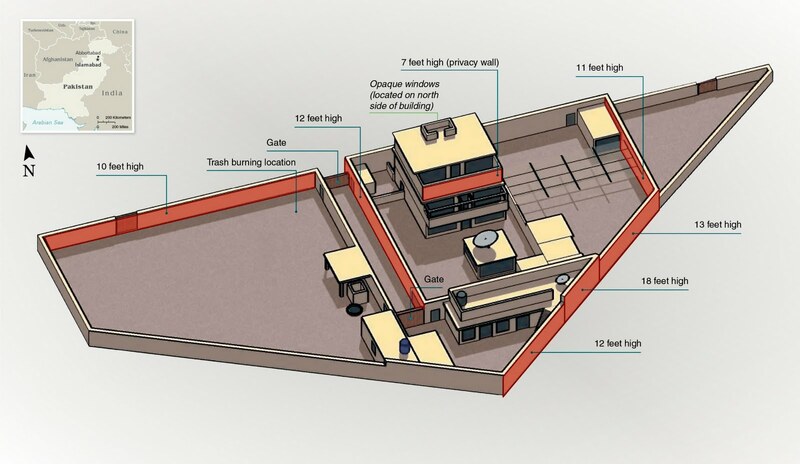 So there were 3 armed men guarding this enormous compound and al-Qaeda's most important man?... which, incidentally, was stormed by 24 Navy SEALS. 3 versus 24. 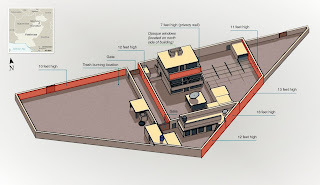 While initial reports said that bin Laden was also killed during the firefight, apparently his daughter said that he was captured alive and then executed. In any case, US officials admitted in the days following that the mission objective was never to capture bin Laden but to kill him. But of course assassination for political and financial gain is something the U.S.A is already very familiar with. 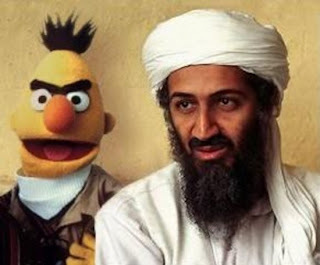 And now, what evidence is there that the terminated individual that was actually Osama bin Laden? The USA sequestered his body, DNA tested it, performed photo recognition and dumped the body out at sea. How convenient. In respect of Islamic burial rights, they washed his body and buried it at sea within 24 hours, as required by Islamic law. Suddenly they give a crap about Islamic beliefs?? About human rights? Um... Guantanamo Bay? I'm sure the Quran and any other holy book would be quite opposed to waterboarding and other means of torture. Bin Laden was unarmed when he was allegedly shot in the face, but at least he was buried respectfully. The USA government became righteous at the most convenient of times, disposing of the body of the world's most wanted man, and with it disposing of any possibility of verification, evidence or confirmation of his capture/assassination. So what do we now have to believe this sham of a story: the body's DNA matches that of his sisters (a stretch of believeability) and photos, which of course they are now saying, "We don't know if we can release them." Apparently they are too gruesome. Of course they would say this. And even if they did release them, it is not difficult to manipulate images these days. Children can PhotoShop digital images; imagine what the Pentagon and CIA technology can do. I want to hear testimony from the woman who was shot in the leg. Or let one of his wives or 17 children identify his body. What I am urging is: question everything you are being fed by the media. There is always an agenda. George Orwell foresaw all of this when he wrote Nineteen Eighty-Four. We are being lied to, manipulated and led to fulfill the agenda of governments. Ask yourself what you know for sure and you'll find that it is not much. Remember the apparent Weapons of Mass Destruction? 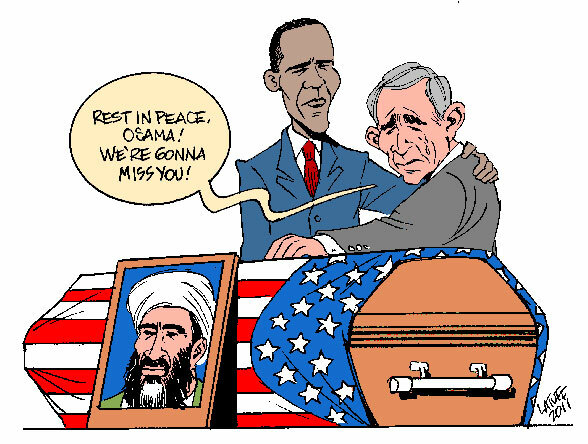 Well Osama bin Laden is now buried with them, out at sea. "Returning hate for hate multiplies hate, adding deeper darkness to a night already devoid of stars. Darkness cannot drive out darkness: only light can do that. Hate cannot drive out hate: only love can do that." ~ Martin Luther King, Jr.
- Swine Flu? So pigs DO fly. The title should be that is there any osama bin ladin or is it a name given to start wars! yes, it crossed my mind that even his name could be fabricated: a sinister sounding name given to the chosen poster child for terror. Wow, this is an interesting topic and article. I’m glad I found your article and had the chance to read it. I am very impressed. I need to read your blog more. Well done.